Hope you are all well and getting prepped for Christmas time! It’s creeping up on us now and us at the distillery are gearing up for a busy November / December! We have plenty coming up, loads of tours and workshops, BBC Good Food Show in Birmingham and another Selfridges tasting weekend too! Loads been going on since we last spoke. 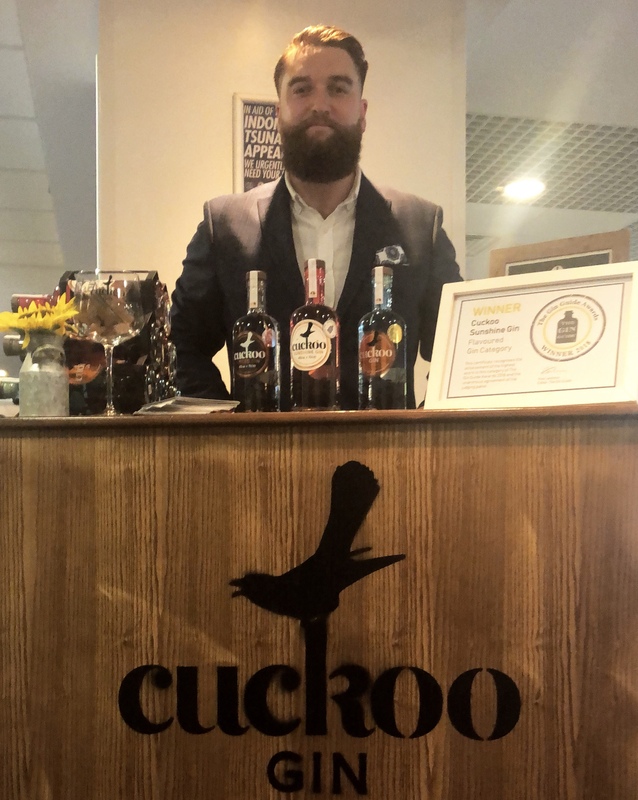 If you remember, Mark an I were getting excited about Cuckoo becoming the home gin of Blackburn Rovers, something which is now a reality! I was lucky enough to be invited along to the Leeds United fixture as a guest of Northcote @ The Rovers, to talk with guests about the distillery, the gin and about our ongoing relationship with a club so close to our hearts. With Mark unable to attend due to a distillery tour being booked on the same day, I took my Dad along, a lifelong Rovers fan whose first game was in 1952! We got to meet Steve Waggot CEO, Mike Cheston Finance Director, Bradley Dack and Elliot Bennett as well as a tour of Ewood Park. I was in my element let me tell you! I was later introduced to the Owner of Leeds United, Andrea Radrizzani, who was a top top bloke. Rovers ran out 2-1 winners on the day, Mr. Radrizzani was very humble in defeat and I soothed his temporary heartache with a bottle of our Cuckoo Signature. Bellisimo! I met with some class people and had some great conversations with other local businesses, probably the most enjoyable working day I’ve ever had so cheers Mark! I’ll do the next tour! Following this wonderful day I had a busy week with our monthly visit to Houghton Tower, meetings in Leeds with some new potential accounts and a night hosting at the Cin Cin Bar in Darwen. What a venue! If you haven’t already been get down to see Dominic and the rest of the team, looked after me on the night and was able to enjoy one of the best gin tastings I’ve done, Darwen know how to do it reyt! We were then invited by Paul, of Defiance Gin, to take part in a gin festival over in Whitworth. This was class, all local producers with Sir Robert of Locksley Gin, The Edge Gin, Bluestone Brewery and of course Defiance. Plenty of Cuckoo fans in attendance as well! The past weekend I was at Wine Rack in Birkdale hosting a gin tasting which went down a treat, lots of gin lovers on the west coast! The same day I hosted another gin night, this time at Turton Wines, who are and always have been great supporters of Brindle Distillery! Thank you for having me! We had a Sunday free so we thought maybe lets have a Sunday off but the weekend doesn’t stop us from spreading the good word Cuckoo! We had our first visit to the Helmshore Farmers Market, up next to the old textile museum there. People had got word that we were going to be there and it brewed a lot of excitement! We had a reyt day and we are hopeful of returning next month! That’s me for the time being guys, keep an eye out on the website for Workshop dates, Christmas Hampers and don’t forget to get your Christmas presents early to avoid any unwanted festive stress!